This is “Speaking Confidently”, chapter 3 from the book Public Speaking: Practice and Ethics (v. 1.0). For details on it (including licensing), click here. One of your biggest concerns about public speaking might be how to deal with nervousness or unexpected events. If that’s the case, you’re not alone—fear of speaking in public consistently ranks at the top of lists of people’s common fears. Some people are not joking when they say they would rather die than stand up and speak in front of a live audience. The fear of public speaking ranks right up there with the fear of flying, death, and spiders.Wallechinsky, D., Wallace, I., & Wallace, A. (1977). The people’s almanac presents the book of lists. New York, NY: Morrow. See also Boyd, J. H., Rae, D. S., Thompson, J. W., Burns, B. J., Bourdon, K., Locke, B. Z., & Regier, D. A. (1990). Phobia: Prevalence and risk factors. Social Psychiatry and Psychiatric Epidemiology, 25(6), 314–323. Even if you are one of the fortunate few who don’t typically get nervous when speaking in public, it’s important to recognize things that can go wrong and be mentally prepared for them. On occasion, everyone misplaces speaking notes, has technical difficulties with a presentation aid, or gets distracted by an audience member. Speaking confidently involves knowing how to deal with these and other unexpected events while speaking. In this chapter, we will help you gain knowledge about speaking confidently by exploring what communication apprehension is, examining the different types and causes of communication apprehension, suggesting strategies you can use to manage your fears of public speaking, and providing tactics you can use to deal with a variety of unexpected events you might encounter while speaking. 3.1 What Is Communication Apprehension? Explain the nature of communication apprehension. List the physiological symptoms of communication apprehension. Identify different misconceptions about communication anxiety. “Speech is a mirror of the soul,” commented Publilius Syrus, a popular writer in 42 BCE.Bartlett, J. (comp.). (1919). Familiar quotations (10th ed.). Rev. and enl. by Nathan Haskell Dole. Boston, MA: Little, Brown, and Company. Retrieved from Bartleby.com website: http://www.bartleby.com/100 Other people come to know who we are through our words. Many different social situations, ranging from job interviews to dating to public speaking, can make us feel uncomfortable as we anticipate that we will be evaluated and judged by others. How well we communicate is intimately connected to our self-image, and the process of revealing ourselves to the evaluation of others can be threatening whether we are meeting new acquaintances, participating in group discussions, or speaking in front of an audience. According to James McCroskey, communication apprehensionThe fear or anxiety associated with either real or perceived communication with another person or persons. is the broad term that refers to an individual’s “fear or anxiety associated with either real or anticipated communication with another person or persons.”McCroskey, J. C. (2001). An introduction to rhetorical communication. Boston, MA: Allyn & Bacon, p. 40. At its heart, communication apprehension is a psychological response to evaluation. This psychological response, however, quickly becomes physical as our body responds to the threat the mind perceives. Our bodies cannot distinguish between psychological and physical threats, so we react as though we were facing a Mack truck barreling in our direction. The body’s circulatory and adrenal systems shift into overdrive, preparing us to function at maximum physical efficiency—the “flight or fight” response.Sapolsky, R. M. (2004). Why zebras don’t get ulcers (3rd ed.). New York, NY: Henry Holt. Yet instead of running away or fighting, all we need to do is stand and talk. When it comes to communication apprehension, our physical responses are often not well adapted to the nature of the threat we face, as the excess energy created by our body can make it harder for us to be effective public speakers. But because communication apprehension is rooted in our minds, if we understand more about the nature of the body’s responses to stress, we can better develop mechanisms for managing the body’s misguided attempts to help us cope with our fear of social judgment. There are a number of physical sensations associated with communication apprehension. We might notice our heart pounding or our hands feeling clammy. We may break out in a sweat. We may have “stomach butterflies” or even feel nauseated. Our hands and legs might start to shake, or we may begin to pace nervously. Our voices may quiver, and we may have a “dry mouth” sensation that makes it difficult to articulate even simple words. Breathing becomes more rapid and, in extreme cases, we might feel dizzy or light-headed. Anxiety about communicating is profoundly disconcerting because we feel powerless to control our bodies. Furthermore, we may become so anxious that we fear we will forget our name, much less remember the main points of the speech we are about to deliver. The physiological changes produced in the body at critical moments are designed to contribute to the efficient use of muscles and expand available energy. Circulation and breathing become more rapid so that additional oxygen can reach the muscles. Increased circulation causes us to sweat. Adrenaline rushes through our body, instructing the body to speed up its movements. If we stay immobile behind a lectern, this hormonal urge to speed up may produce shaking and trembling. Additionally, digestive processes are inhibited so we will not lapse into the relaxed, sleepy state that is typical after eating. Instead of feeling sleepy, we feel butterflies in the pit of our stomach. By understanding what is happening to our bodies in response to the stress of public speaking, we can better cope with these reactions and channel them in constructive directions. 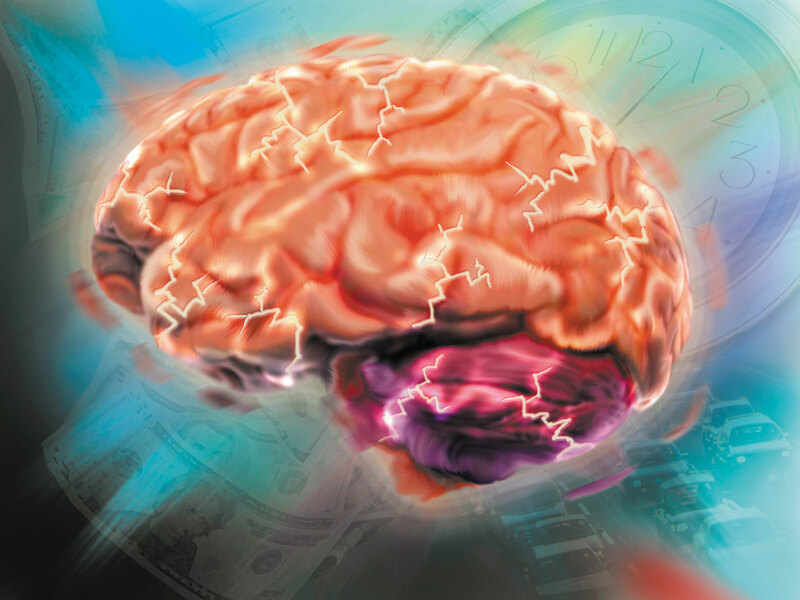 Any conscious emotional state such as anxiety or excitement consists of two components: a primary reaction of the central nervous system and an intellectual interpretation of these physiological responses. The physiological state we label as communication anxiety does not differ from ones we label rage or excitement. Even experienced, effective speakers and performers experience some communication apprehension. What differs is the mental label that we put on the experience. Effective speakers have learned to channel their body’s reactions, using the energy released by these physiological reactions to create animation and stage presence. A wealth of conventional wisdom surrounds the discomfort of speaking anxiety, as it surrounds almost any phenomenon that makes us uncomfortable. Most of this “folk” knowledge misleads us, directing our attention away from effective strategies for thinking about and coping with anxiety reactions. Before we look in more detail at the types of communication apprehension, let’s dispel some of the myths about it. Telling a joke or two is always a good way to begin a speech. Humor is some of the toughest material to deliver effectively because it requires an exquisite sense of timing. Nothing is worse than waiting for a laugh that does not come. Moreover, one person’s joke is another person’s slander. It is extremely easy to offend when using humor. The same material can play very differently with different audiences. For these reasons, it is not a good idea to start with a joke, particularly if it is not well related to your topic. Humor is just too unpredictable and difficult for many novice speakers. If you insist on using humor, make sure the “joke” is on you, not on someone else. Another tip is never to pause and wait for a laugh that may not come. If the audience catches the joke, fine. If not, you’re not left standing in awkward silence waiting for a reaction. Imagine the audience is naked. This tip just plain doesn’t work because imagining the audience naked will do nothing to calm your nerves. As Malcolm Kushner noted, “There are some folks in the audience I wouldn’t want to see naked—especially if I’m trying not to be frightened.”Kushner, M. (1999). Public speaking for dummies. New York, NY: IDG Books Worldwide, p. 242. The audience is not some abstract image in your mind. It consists of real individuals who you can connect with through your material. To “imagine” the audience is to misdirect your focus from the real people in front of you to an “imagined” group. What we imagine is usually more threatening than the reality that we face. Any mistake means that you have “blown it.” We all make mistakes. What matters is not whether we make a mistake but how well we recover. One of the authors of this book was giving a speech and wanted to thank a former student in the audience. Instead of saying “former student,” she said, “former friend.” After the audience stopped laughing, the speaker remarked, “Well, I guess she’ll be a former friend now!”—which got more laughter from the audience. A speech does not have to be perfect. You just have to make an effort to relate to the audience naturally and be willing to accept your mistakes. Avoid speaking anxiety by writing your speech out word for word and memorizing it. Memorizing your speech word for word will likely make your apprehension worse rather than better. Instead of remembering three to five main points and subpoints, you will try to commit to memory more than a thousand bits of data. If you forget a point, the only way to get back on track is to start from the beginning. You are inviting your mind to go blank by overloading it with details. In addition, audiences do not like to listen to “canned,” or memorized, material. Your delivery is likely to suffer if you memorize. Audiences appreciate speakers who talk naturally to them rather than recite a written script. Audiences are out to get you. With only a few exceptions, which we will talk about in Section 3.2 "All Anxiety Is Not the Same: Sources of Communication Apprehension", the natural state of audiences is empathy, not antipathy. Most face-to-face audiences are interested in your material, not in your image. Watching someone who is anxious tends to make audience members anxious themselves. 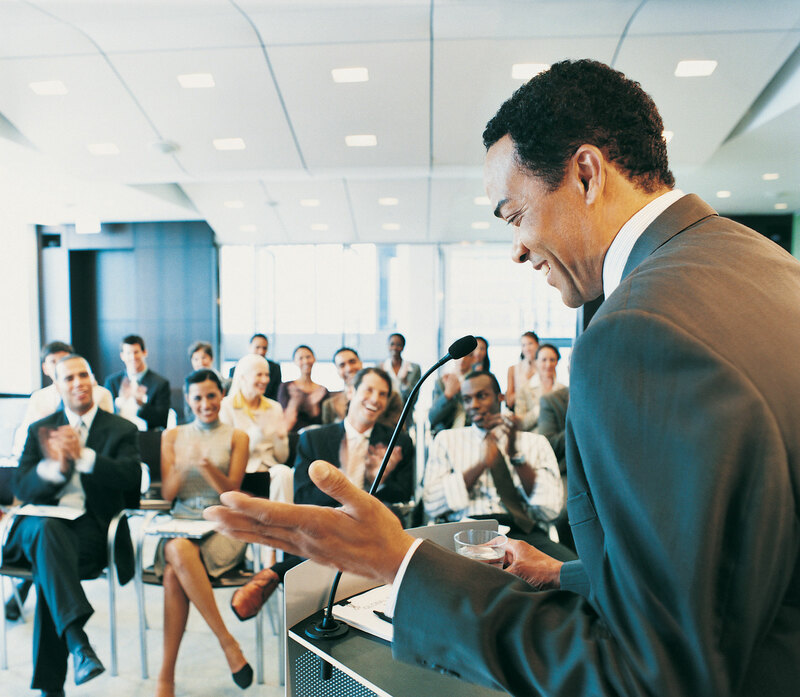 Particularly in public speaking classes, audiences want to see you succeed. They know that they will soon be in your shoes and they identify with you, most likely hoping you’ll succeed and give them ideas for how to make their own speeches better. If you establish direct eye contact with real individuals in your audience, you will see them respond to what you are saying, and this response lets you know that you are succeeding. You will look to the audience as nervous as you feel. Empirical research has shown that audiences do not perceive the level of nervousness that speakers report feeling.Clevenger, T. J. (1959). A synthesis of experimental research in stage fright. Quarterly Journal of Speech, 45, 135–159. See also Savitsky, K., & Gilovich, T. (2003). The illusion of transparency and the alleviation of speech anxiety. Journal of Experimental Social Psychology, 39, 601–625. Most listeners judge speakers as less anxious than the speakers rate themselves. In other words, the audience is not likely to perceive accurately the level of anxiety you might be experiencing. Some of the most effective speakers will return to their seats after their speech and exclaim they were so nervous. Listeners will respond, “You didn’t look nervous.” Audiences do not necessarily perceive our fears. Consequently, don’t apologize for your nerves. There is a good chance the audience will not notice if you do not point it out to them. 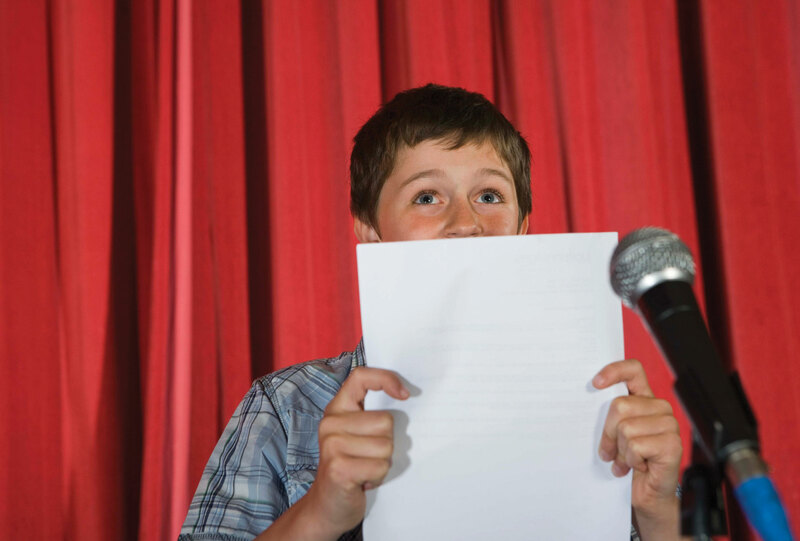 A little nervousness helps you give a better speech. This “myth” is true! Professional speakers, actors, and other performers consistently rely on the heightened arousal of nervousness to channel extra energy into their performance. People would much rather listen to a speaker who is alert and enthusiastic than one who is relaxed to the point of boredom. Many professional speakers say that the day they stop feeling nervous is the day they should stop speaking in public. The goal is to control those nerves and channel them into your presentation. Communication apprehension refers to the fear or anxiety people experience at the thought of being evaluated by others. Some anxiety is a normal part of the communication process. The psychological threat individuals perceive in the communication situation prompts physiological changes designed to help the body respond. These physical reactions to stress create the uncomfortable feelings of unease called speech anxiety and may include sweaty palms, shaking, butterflies in the stomach, and dry mouth. A great deal of conventional advice for managing stage fright is misleading, including suggestions that speech anxiety is neurotic, that telling a joke is a good opening, that imagining the audience naked is helpful, that any mistake is fatal to an effective speech, that memorizing a script is useful, that audiences are out to get you, and that your audience sees how nervous you really are. Create an inventory of the physiological symptoms of communication apprehension you experience when engaged in public speaking. Which ones are you most interested in learning to manage? With a partner or in a small group, discuss which myths create the biggest problems for public speakers. Why do people believe in these myths? Identify common difficulties that may fluster even experienced speakers. 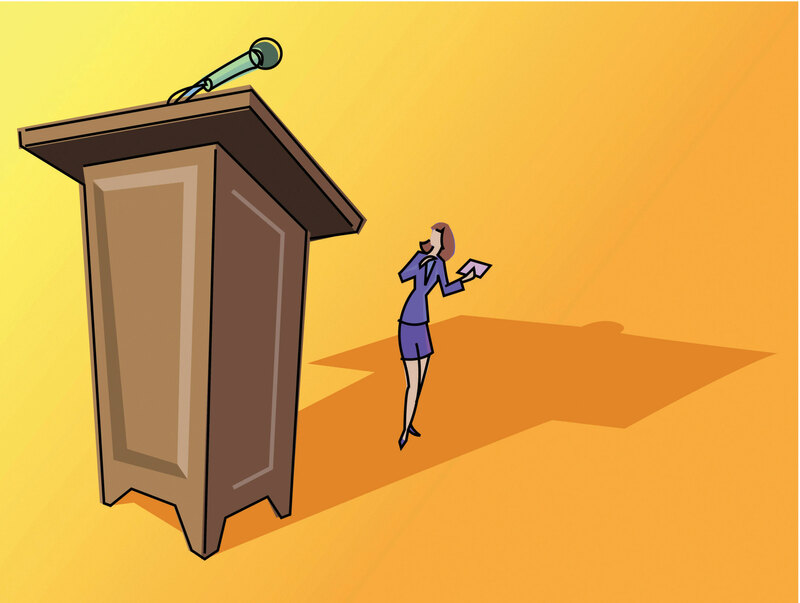 Describe some basic strategies for dealing with unexpected events during a public speech. Even the most prepared, confident public speaker may encounter unexpected challenges during the speech. This section discusses some common unexpected events and addresses some general strategies for combating the unexpected when you encounter it in your own speaking. Technology has become a very useful aid in public speaking, allowing us to use audio or video clips, presentation software, or direct links to websites. However, one of the best known truisms about technology is that it does break down. 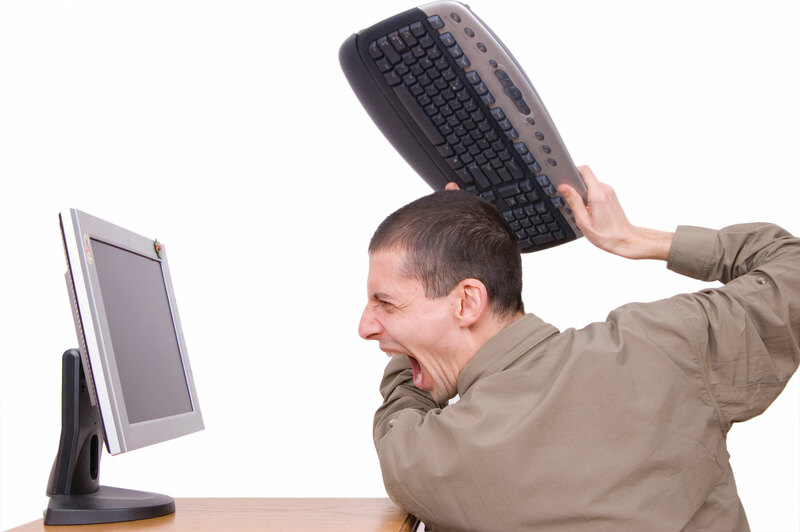 Web servers go offline, files will not download in a timely manner, and media are incompatible with the computer in the presentation room. It is important to always have a backup plan, developed in advance, in case of technical difficulties with your presentation materials. As you develop your speech and visual aids, think through what you will do if you cannot show a particular graph or if your presentation slides are hopelessly garbled. Although your beautifully prepared chart may be superior to the oral description you can provide, your ability to provide a succinct oral description when technology fails can give your audience the information they need. 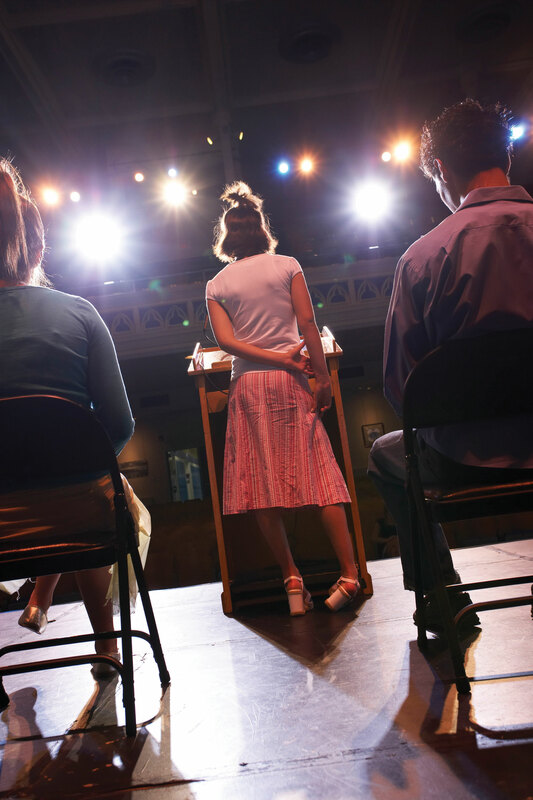 Although many public speaking instructors directly address audience etiquette during speeches, you’re still likely to encounter an audience member who walks in late, a ringing cell phone, or even a car alarm going off outside your classroom. If you are distracted by external events like these, it is often useful, and sometimes necessary (as in the case of the loud car alarm), to pause and wait so that you can regain the audience’s attention and be heard. Whatever the unexpected event, your most important job as a speaker is to maintain your composure. It is important not to get upset or angry because of these types of glitches—and, once again, the key to this is being fully prepared. If you keep your cool and quickly implement a “plan B” for moving forward with your speech, your audience is likely to be impressed and may listen even more attentively to the rest of your presentation. Plan ahead for how to cope with unexpected difficulties such as forgetting part of your speech content, having technical trouble with visual aids, or being interrupted by external distractions. Talk to people who engage in public speaking regularly (e.g., teachers and professionals) and find out what unexpected events have happened when they were giving speeches. What did they do to deal with these unexpected happenings? Fill out the Personal Report of Communication Apprehension (PRCA24). The measure can be found at http://www.jamescmccroskey.com/measures/prca24.htm.